The romance of the fizzy elixir lends romance to this region. Originally the name was derived, less romantically, from 'Campania': land of plains. That's very much an understatement, this landscape isn't just plains. There are also undulating hillsides on which grow the perfectly romantic rows of vines and on which rest the 300 charming Champagne villages. If you know which of these you want to stay in go straight to our guru's list. Otherwise here are some good reasons to visit, and some of the best places to stay in Champagne to enjoy them. The romance of the drink must come in part from the magical story of its 'invention' by Benedictine Monk, Dom Perignon. Sparkling wine starts life as still wine, in the case of Champagne, mostly thin, acidic blends of Pinot Noir, Chardonnay and Pinot Meunier grapes. Champagne is then fermented in the bottle. When the yeast breaks down the sugars produce the carbon dioxide sparkle. Many people will tell you that when you taste Champagne before the fermentation process has occurred you’ll be able to see why it’s so important to the region, so make sure you try some. The Champagne Route is the most common way to traverse the region, taking quaffers and connoisseurs from one beautiful village to the next (don't miss Colombey Les Deux Eglises - close to the champagne route and once home of General de Gaulle). Many vineyards are passed along the way. Most of the big producers don't grow their own grapes, but the ones who do are obviously the most interesting to visit. It's worth remembering that much of the region's best bubbly is produced in the 5,000 or so small scale vignerons. So make sure you make time to visit some of them. Many are happy to welcome visitors. Take time out from wine tasting and ensure you visit Reims Cathedral - a stunning example of gothic architecture and UNESCO listed World Heritage Site. Enjoy a wander round medieval Troyes with its beautiful half-timbered houses and atmospheric old town. Shopaholics and designer-label fans should browse some of Troyes factory outlets. It has around 250 to choose from! Premium champagne grapes are grown on the gentle slopes of the Montagne de Reims, where many of the big names in champagne are based. Including Pommery, Krug, Taittinger and Roederer. Taittinger is one of the few major champagne houses you can tour without a booking. Once a church, the cellars of this 'house' go down several levels, to those cut into the chalk in Roman times. Don't be put off by the famous name, it's worth visiting Tattinger because it's one of the few champagne houses which still turns its bottles by hand. 25kms south of Reims, Épernay is the true wine capital of Champagne. Situated in the heart of the vineyards, ninety per cent of this town's population work in wine. And Épernay has 37 Champagne houses - Reims has eight. 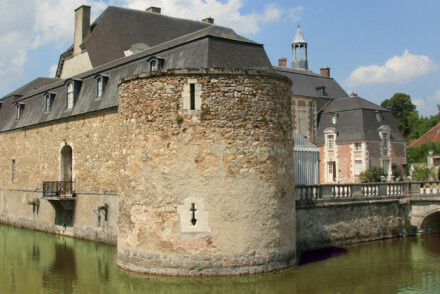 Épernay is also one of the wealthiest towns in the Champagne region. Partly because this is where Moët et Chandon have their cellar. But many of the smaller producers within walking distance of Moët are also well worth a visit. Épernay is also famous for the vast underground cellars lying directly below its streets. There are approximately 110kms worth, holding 200 million bottles of fizz. Beautiful and unchanging Troyes is the second historic capital of the Champagne region, though, unlike Reims, it doesn't have any champagne houses. It does have some wonderful half-timbered medieval ones though - thought of as some of the best preserved in Europe. And some very fine Gothic architecture as well. It also has some excellent museums. And probably the most famous outlet mall in France. Don't forget that this is a busy destination, for all sorts of reasons, year round. So if you want to guarantee a bed in one of the best places to stay in Champagne, do yourself a favour and plan well ahead. On the edge of the Montagne de Reims, Château de Rilly is one of the best places to stay in Champagne. It is beautiful, peaceful and surrounded by a reserve, and is perfectly located for taking in all that Reims has to offer. 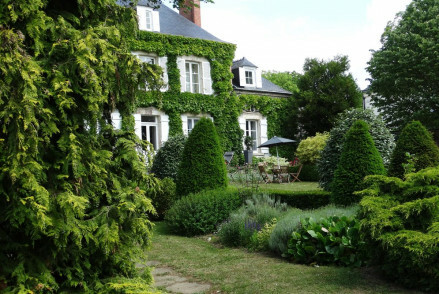 Close to reims, Les Bulles Dorees is a quirky, yet elegant, Champagne House with four spacious bedrooms and a beautiful garden. You’re surrounded by vineyards here. The Château les Crayeres is a five star château with 20 rooms, a Michelin starred chef, classical furniture and decor and 400 champagne labels. This is a sophisticated hotel with very high service standards. La Villa Eugene is purist fizz and luxury. 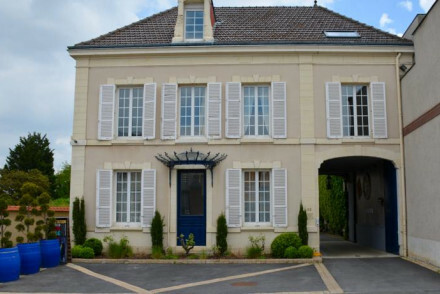 This charming house once belonged to the famous Mercier family - also famed for holding a car rally in the subterranean cellars under Épernay. It's also a perfect spot if you want to be within walking distance from as many champagne houses as possible. The Hotel Restaurant les Avises is well known by foodies for its Michelin star chef. But this ten room hotel in a converted château is also well located for the both the champagne houses of Épernay and the region. The interiors are modern and the bathrooms are particularly expensive. Hostellerie la Briqueterie is a recently renovated country house hotel set on a vineyard just a short stroll from Épernay. There are 40, rather luxurious rooms, with views of fountain-filled gardens, a spa and a heated indoor pool. 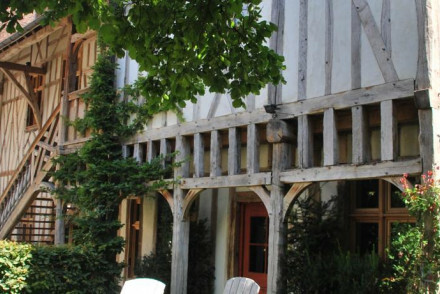 A fabulous half timbered townhouse, La Maison de Rhodes is one of the best places to stay in Champagne if you're here for the region's history as well as its wine. Once owned by the Knights of Malta it's hard to get more medieval wonderful than this 12th Century building. It's also a perfect choice if you're looking to get away from the main Champagne tourist drag. 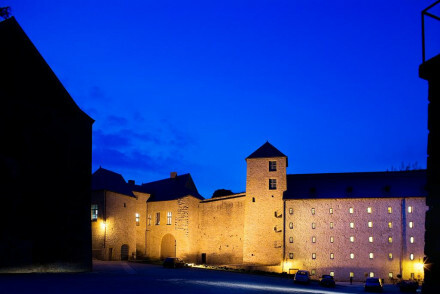 The Hotel le Château Fort de Sedan is a medieval fortress with beautifully, and comfortably, renovated interiors and a splendid buffet breakfast. As well as original stone walls, you’ll also find some lovely antiques, and you’re surrounded by some excellent walking trails. Beautifully renovated, Le camp des Oiseaux was originally built in the 15th century, and the lovely stone and timber facade remains. Inside there are nine, light, airy rooms arranged around a central courtyard. The restaurant is gourmet and the Troyes location is excellent. The Château d’Etoges is a stately château surrounded by its own parkland and vineyards. There are 28 rooms, all of them opulent, many with four-poster beds, fireplaces, parquet floors and high ceilings. There’s also an excellent spa. The Domaine Château du Faucon is a fabulous château set in stunning grounds. It has 26 elegant rooms, individually styled and featuring quality antiques, traditional fabrics and wallpapers and yet clean lines. There’s a tennis court and the restaurant serves excellent regional cuisine. Le Clos des Terres Soudees is a boutique design hotel in Vrigny, with just five bedrooms an an excellent gourmet restaurant. And of course an extensive wine list. 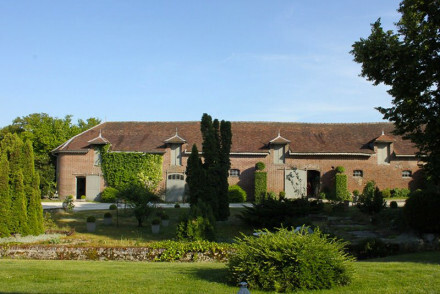 Domaine Sacret in central Ay, is a chic and intimate guesthouse with just four rooms, owned by a wine-growing family. Expect free-standing baths, antiques and a bar, complete with a billiards table. You’re walking distance from a number of excellent restaurants. 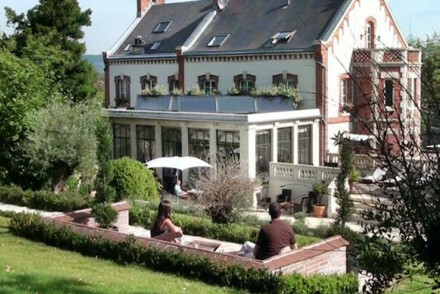 Les Berceaux is a reasonably priced, family run hotel in Épernay close to some of the world’s most famous champagne houses. 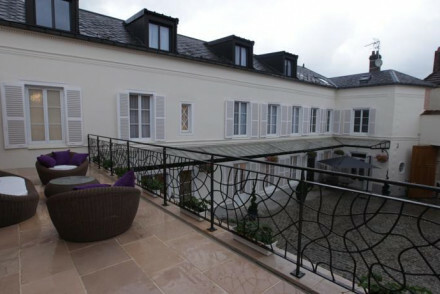 It has just 28 rooms but offers a choice of two restaurants, the Michelin starred Michelon, and Bistrot 7. L'Assiette Champenoise has won not just one, but two Michelin stars for its cuisine, created by Arnaud Lallement’s cuisine. The hotel around the restaurant has 35 super modern rooms and suites - some with private balconies and jacuzzis. Chez Odette is a sleek, design hotel in a beautiful rural spot with an excellent, gourmet restaurant. There are just nine rooms and suites - some with open fireplaces, and all with dark wood and slate bathrooms. 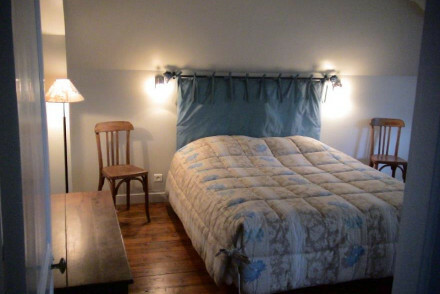 La Closerie des Sacres is a three room B&B converted from stables, and there’s a French farmhouse feel to the property. As well as complimentary breakfast you’ve also access to a kitchen and BBQ. Le Parc du Château is a stylish, contemporary guesthouse with five sleek, comfortable rooms - all with their own patios facing out into the property’s beauty parkland. Very peaceful. And close to the winemaking village of Hermonville. The Hostellerie La Montagne is a charming restaurant with nine traditional rooms in a peaceful spot close to woods and forests. The food is superb and the atmosphere elegant and relaxed. 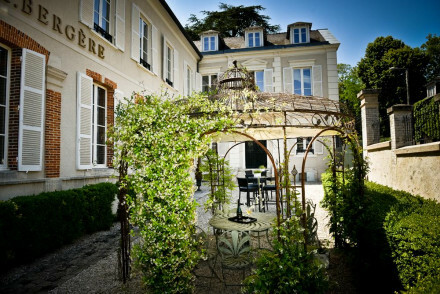 L'Assiette Champenoise is one of the best places to stay in Champagne for wine tasters. Several champagne 'caves' are within walking distance. The accommodation is modern and luxurious. And the restaurant has two Michelin stars, so it's also a top choice for foodies. Surprisingly it's also one of the best places to stay in Champagne for families, as lots of its rooms are large enough to accommodate an extra bed without needing a whole suite. 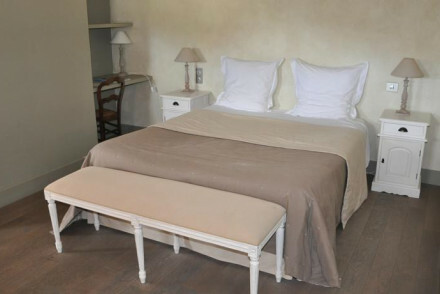 Le Clos Margot in rural Vertus is an excellent B&B with five, large elegant, but minimal rooms, and beautiful surrounds. Domaine de la Creuse is a charming, beam-clad B&B with five prettily decorated rooms and a large, tranquil garden. You’re very close to Troyes. La Grande du Relais is a former coaching inn just off the Champagne Route in Colombey Les Deux Eglises. There are 11 rooms with stone walls and exposed beams, and good French food. Rooms start from less than £70 per night. 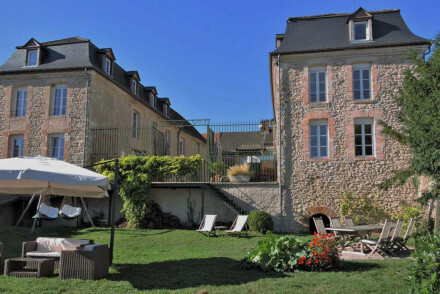 Also offering room for under £70 per night, La Petite Abbaye is a charming chambres d'hôtes with four double rooms - only one with an ensuite, though. Simple, traditional and comfortable. The Villa Louis Victor is a comfortable B&B near Dizy, with five simple rooms, a hearty breakfast on offer and a great location. Rooms start from around £70 per night. If you're travelling in a group or with family, it's sometimes easier to book more flexible, self catering type accommodation. For a good selection we recommend our online partner booking.com. The nearest international airport to the Champagne region is Charles de Gaulle Airport, or one of the other Paris airports. Though if you’re travelling from the UK the easiest way to get to Champagne is via Paris on the Eurostar. However you get to Paris, from there it’s between 45 minutes and an hour by train to your destination within the region. Many European centres would have similar train links to the region. If you want to hire a car - which we strongly advise if you’re staying in Champagne and want to see the region’s highlights - we recommend you visit our online partner Rentalcars. May and June are the best times to visit if you want to enjoy the best weather and avoid the crowds - who usually visit between July and August. But September and October are best if you want to see the harvest. Refine your search to one of Champagne’s towns, try our recommendations for the best places to stay in Reims? 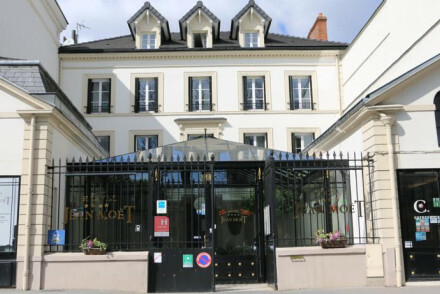 Or the best places to stay in Épernay? or Troyes? 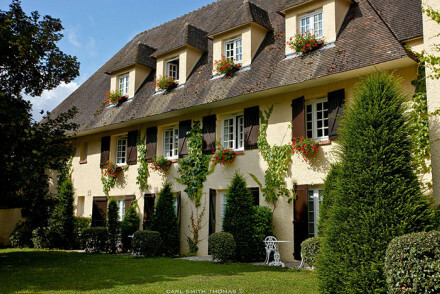 A charming little hotel in the heart of the Champagne region. 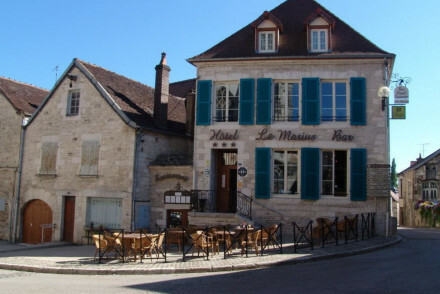 A traditional stone building with green shutters, simple rooms and family suites, and an excellent restaurant set in the original Champagne cellar. An authentic property, perfect for local exploring and lots of wine tasting. Value chic - With rooms starting from as little as €63 per night, it is exceptionally good value for money. Local exploring - A perfect spot to explore the Champagne region from in authentic style. Wine tasting - Set in the heart of Champagne's vineyards. These former stables provide an authentic French farmhouse feel with the comforts of a charming B&B. Breakfast is included and there are plenty of games and activities for kids on site. With access to the kitchen and BBQ, a perfect spot for families or groups to relax and explore the local area. 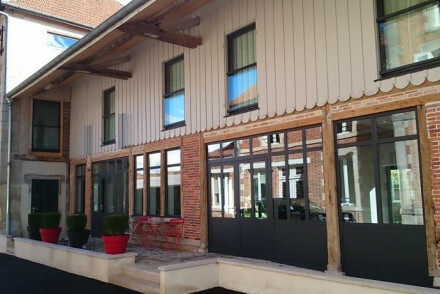 Stylish boutique hotel in Colombey-les-deux-Eglises, the resting place of Charles de Gaulle, offering rooms that seamlessly blend chic aesthetic with a warm and rustic decor. There is a coffee house, restaurant and an array of quirky objets d'art for sale in the lobby. Ideal for romantic getaways. Romantic Break - The rooms are warm, cosy and quirkily-designed and the hotel ensures a real level of intimacy and privacy for guests. Sights nearby - The family home of Charles de Gaulle is only 550 yards away. Quaint former coaching inn metres from the village of Colombey-les-deux-Eglises, just off the Champagne trail. Stone walls and wooden beams make for cosy traditional rooms, most of which overlook the pretty garden. Come for good French food, local exploring and welcoming hosts. Charming chambres d'hôtes in the centre of pretty Signy l'Abbaye, just right for a short break or as a base while exploring Champagne and the Ardennes. Four double rooms (only one en-suite) and a family suite sleeping five. Simple, traditional and very comfortable, with a gourmet breakfast included. A delightful guesthouse and family-run winery dating back to the 18th-century with breathtaking views of the iconic Champagne vineyards. All four rooms are spacious with a seating area and traditional wooden ceilings. On arrival, guests are presented with the property's own champagne Pierre Fedyk. 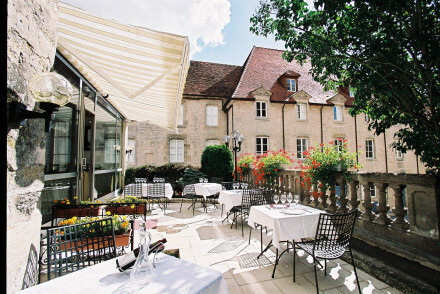 This charming hotel, formerly an abbey, is set in the idyllic town of Langres. The three-star rooms draw on the building's history, with part-exposed stone walls and traditional linens. The sleek gourmet Diderot Restaurant offers an à la carte menu made from fresh produce. A pretty, intimate hotel. A comfortable B&B in Dizy, near Epernay. The modern and simple rooms boast soft furnishings and tasteful decorations. 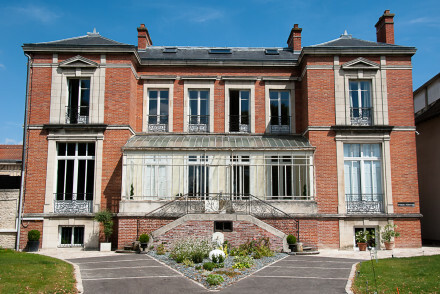 In the heart of the Champagne region, the B&B is near many famous houses such as Moët et Chandon and De Castellane. An ideal resting place for a bubbly tour! Value chic - A very reasonably priced hotel offering tasteful decor, neutral tones and a hearty breakfast in the popular Champagne region. Sights nearby - Visit the Castellane Tower, less than two miles away. A characterful property set in mature gardens near the Orient Forest Regional Park. Offering three bedrooms designed in an ornate style, a continental breakfast is served in the homely dining room or in the pretty garden. Plus the added bonus of an indoor hot-tub. A romantic couples' escape. 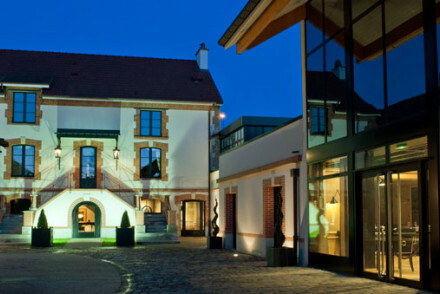 Family run hotel in Epernay, the heart of the Champagne region. The world's most famous champagne houses in the Avenue de Champagne are close by. 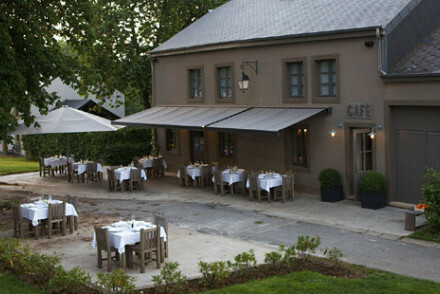 Les Berceaux is all about the cuisine with two restaurants - the Michelin starred Michelon and the Bistrot 7. A charming restaurant with rooms in a pear tree garden. Traditional rooms have romantic wallpapers, fireplaces and antique furniture. 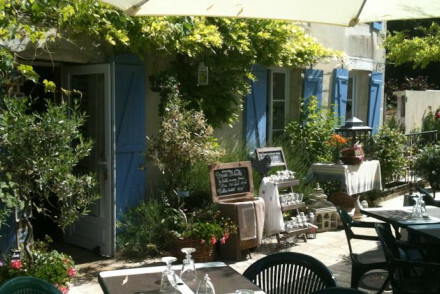 Superb French cuisine, a garden and terrace in which to relax. Elegant, peaceful and enchanting. 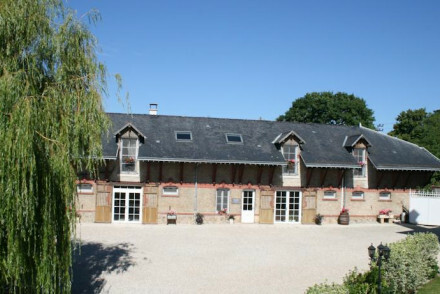 An excellent rural B&B within striking distance of the world's finest champagne producers. The minimalist elegant rooms are decorated with warm pastel colour schemes. Sample the local fizz with a tour of the owner's champagne produce, or spend the day walking in the beautiful surrounding scenery. Local exploring - Explore the fascinating champagne culture of the surrounding area and visit some of the world's most famous champagne houses. 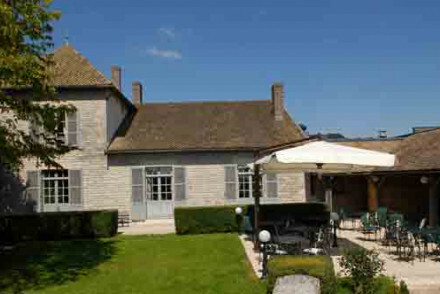 Families - With large rooms and plenty of rooms for running around, it's ideal for a family holiday to rural Burgundy. Local markets - Head down to Vertus, explore the local markets and pick up a few regional treats. Great walks - Make the most of the beautiful walks in the surrounding vineyards. A stately chateau surrounded by vineyards and parklands. Opulent bedrooms have four poster beds, fireplaces, parquet floors, and high ceilings. An excellent spa and wellness centre and Orangery restaurant. Fit for a King. A stylish, contemporary guesthouse in rural Champagne. Rooms are sleek and comfortable with attached patios facing out onto parkland. Situated in the wine-making village of Hermonville, it's perfectly located for people looking to explore regions illustrious wine and champagne production. 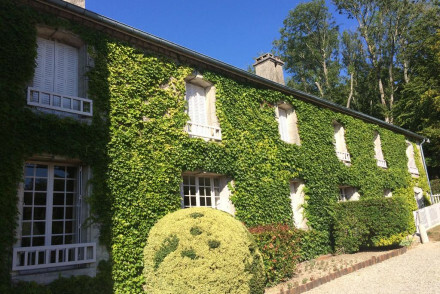 Country Escape - A quaint and charming Château in a small wine producing village surrounded by wooded parklands. Great walks - Excellent walking trails in the nearby Montagne de Reims Regional Park. Sights nearby - Church of Saint-Jacques is eight miles away. A picture perfect chateau set in mature grounds and manicured gardens. The two rooms are chic and contemporary with whitewashed walls, modern art, crisp white linen and lovely views. Downstairs is a more traditional affair with an elegant dining room and snug lounge. 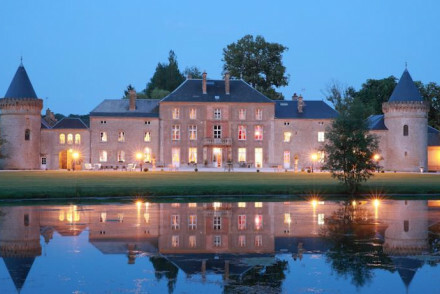 Country Escape - A beautiful and secluded chateau set in mature grounds in the Champagne region of France. Great walks - Take long walks through scenic countryside starting straight from the property. Medieval fortress Hotel Le Chateau Fort de Sedan features renovated interiors with antique furnishings and original stone walls. Be sure not to miss out on the splendid buffet breakfast served each morning. Relax with a nightcap in the stylish Artillerie bar. 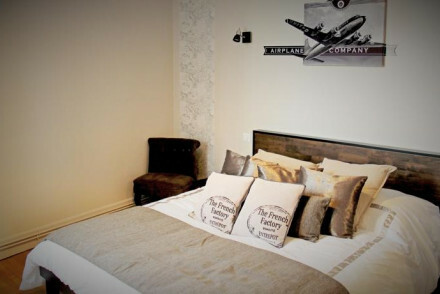 An upmarket and classy stay! Local markets - On Wednesday and Saturday morning be sure to check out the town's lively market stalls! A charming, beam-clad bed and breakfast with a large, tranquil garden. Bedrooms are very comfortable and stylishly decorated in pretty, neutral tones. Enjoy a delicious fresh continental breakfast and then explore the historic city of Troyes and the Champagne region. A charming and modest guesthouse in Estissac with a luscious green garden, terrace, restaurant and outdoor pool. Hostess Laurence has decorated rooms with love and care and all are named after famous artists. Dine in on delicious home cooked food and drink in the carefully stocked bar. Sights nearby - Troyes has an impressive display of stained glass windows, timber-framed houses and the unmissable Modern Art Museum "LEVY"
A contemporary hotel featuring just two rooms in the heart of the historic Vertus. Generously proportioned rooms mix traditional charm with contemporary style. Chic lounge areas feature glass fronted walls and minimalist style. Well located to explore the town and surrounding vineyards. Exclusive. Local exploring - Well located for exploring, either through the historic town or the surrounding vineyards. Sights nearby - History buffs must visit the pretty Saint Martin Church. 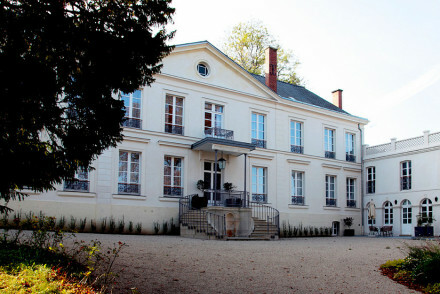 Le Clos Raymi is set in a 19th century mansion in the centre of Épernay. Its rooms are decorated in a quirky style with 1930s art-deco furnishings, and some even come with an ornamental fireplace. Be sure to sit out in their garden terrace and enjoy the sun! A friendly and unfussy stay. Sights nearby - The Georges Cartier, Pol Roger and Moët et Chandon Champagne Houses are right around the corner! A charming B&B housed in a lovingly restored 19th-century building. 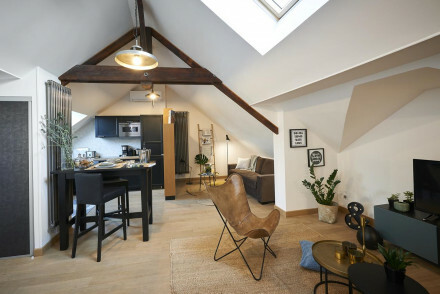 Located in the historic city of Troyes, the guesthouse offers comfortable, bright rooms, with a mix of classic and contemporary interior design. 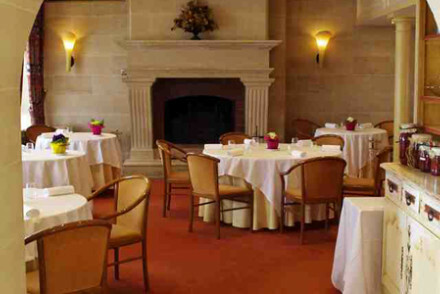 Have breakfast in the stately dining room before you head out; a stylish city hotel. Self-catering and studio apartments in a traditional pale stone 19th-century townhouse in the centre of the grand town of Epernay. Apartments are tastefully decorated in a contemporary style and come fully-equipped with modern amenities. A couple of units have a seating area and an outdoor terrace. A fabulous chateau set in stunning parkland. Elegant rooms are individually styled with traditional fabrics and wallpaper yet the feel is still modern and clean. Excellent regional cuisine. Tennis courts and stables in the grounds. A romantic country retreat and great value. Country Escape - A chatueau befitting of a fairytale complete with horses trotting around the parkland. 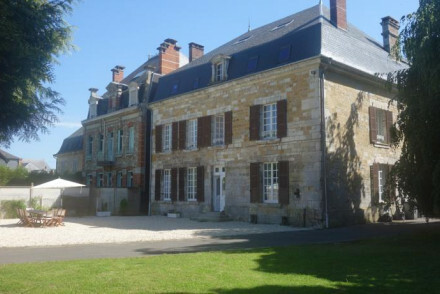 An attractive chateau on the edge of a Nature Reserve and at the foot of the Montagne de Reims. Chic and spacious rooms in creams and yellows, excellent restaurant, and a spa with all the works. A luxurious spot. 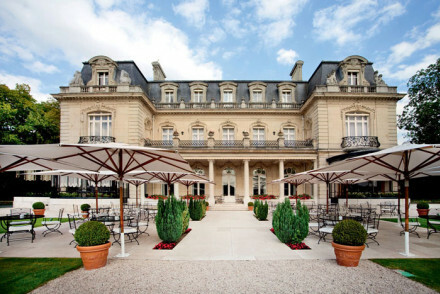 Perfect for immersing yourself in the opulent champagne culture of Epernay. 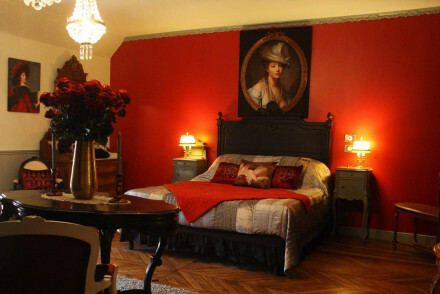 A beautiful 18th century townhouse with rooms wonderfully furnished in the mode of Louis XV. Ideally placed to explore the magnificent champagne cellars of Epernay and the surrounding vineyards. 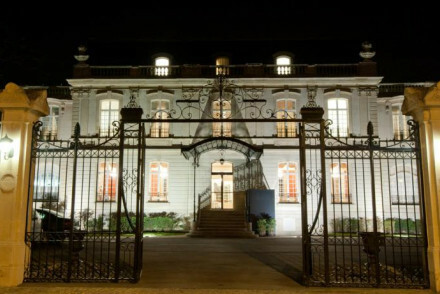 Romantic Break - A chic hotel in the glorious town of Épernay, boasting suave suites, a Champagne bar, spa and sauna. Local exploring - A perfect base for explore the Champagne capital of the world in a grown up and sophisticated style. Great walks - The picturesque countryside, made up of rolling vineyards, makes for excellent walking. Sights nearby - Close to the Avenue de Champagne, where world famous champagnes cellars are situated. 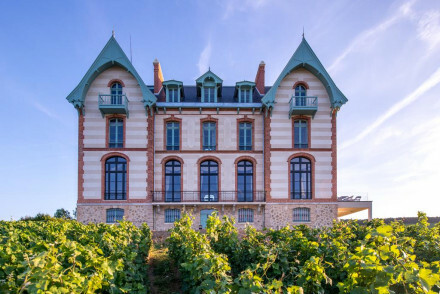 A rural mansion and working vineyard in the Champagne region. Elegant rooms are traditionally dressed with chandeliers, large sash windows and carved antiques. Fabulous dinners are available (laced with champagne) by prior arrangement and tasting's of the hotel's produce is an added bonus. 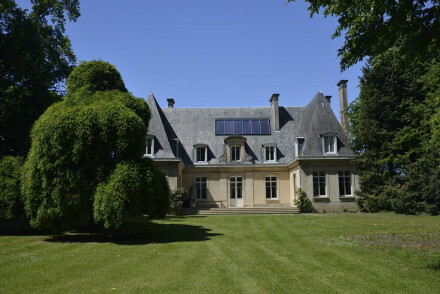 Country Escape - A stunning mansion set in mature grounds in France's Champagne region. Great walks - Take long walks through the picturesque countryside starting right from the property. 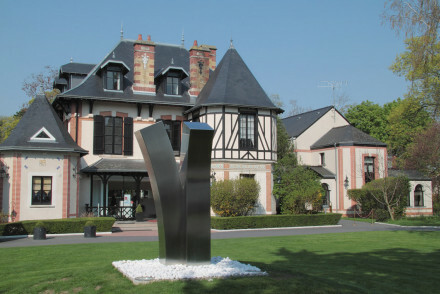 Sights nearby - Visit the famous champagne houses of Pommery, Mumm and Ruinart. A highly sophisticated and very luxurious city spot that once belonged to the Mercier family. Seamless bedrooms and suites decorated in chic creams with parquet floors and fireplaces. An elegant conservatory bar looks onto a pool and the gardens. A charming B&B comprising of a handful of elegant rooms and smart apartments. Interiors are fresh and traditional with soft hues, antiques and pale wooden floors. 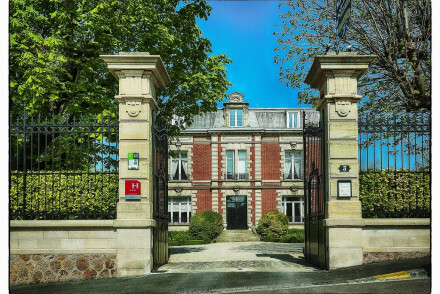 Ideally located within walking distance of some of the region's most famed Champagne producers. Local exploring - Well placed for visiting the region's famed Champagne producers. This quirky Champagne house features modern décor and elegant, spacious rooms. It has a beautiful garden with views of the surrounding champagne vineyards and it's only a few miles away from a variety of local sights. Free parking and wifi available. A chic guesthouse owned by a wine-growing family in central Ay. Individually styled rooms feature free standing baths, warm hues and antique furniture. A bar, complete with billiards table, for evenings spent sampling the regions finest champagne. Walking distance from restaurants. Fabulous. 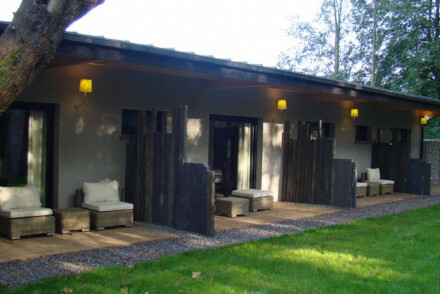 Romantic Break - An intimate guesthouse with champagne tasting, free standing baths and complete tranquility. Great walks - Take a relaxing stroll along the nearby river banks. Restrictions on children - An adult only property. A charming 18th century townhouse, in the Champagne capital. The five comfortable and tastefully decorated rooms exude a homely warm feeling. Near the centre of Epernay, it's perfect for exploring the city's world celebrated champagne cellars including Mercier, Moët & Chandon and Dom Pérignon. Local exploring - A charming base for exploring the vibrant champagne region, your hosts will happily fill you in on the towns history. Hideaway - A quaint and cosy B&B, with a magical atmosphere from the free flûte on arrival to breakfast in the elegant rooms. Great walks - Wander around this picturesque town, or take a tour of the maze of cellars under the guesthouse. Local markets - The towns weekly market is the perfect place to pick up some of the fruits of the local area. A fabulous timber townhouse renovation, previously owned by the Knights of Malta. Sleek contemporary bedrooms and suites retain elements of the old for aesthetic effect. Wonderful organic restaurant and swimming pool in one of the gardens. A sophisticated hotel. This idyllic bed and breakfast, with rustic interior design, is set in the heart of the Champagne region. The light and airy rooms boast exposed beams, luxurious beds and breathtaking views, while the garden and patio offer quiet spaces to relax. A perfect escape to the country. Exceptional boutique hotel. Just five discreetly modern bedrooms - high end design elements accompanied by classical furniture and antiques. An excellent restaurant serves gourmet cuisine and an extensive wine list. Romantic and indulgent. A picture perfect chateau set in France's champagne country. Elegantly dressed throughout, the rooms are spacious with high ceilings, sash windows, wooden floors and a choice selection of antiques. A fine dining restaurant serves regional dishes, set alongside a fantastic wine list, naturally. Hideaway - A glamorous hideaway set amidst acres of vineyards. Great walks - Explore the picturesque countryside with scenic trails starting straight from the property. An extremely sleek boutique hotel. High design, all the mod cons, and real attention to detail. Bedrooms and suites with open fires, dark wood, and slate bathrooms. An excellent gourmet restaurant and terrace. Very sophisticated for a country escape. 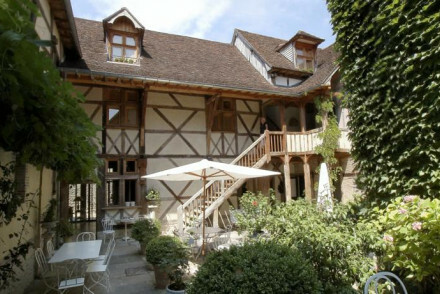 A beautiful 15th century medieval renovation in central Troyes. Stone and timber facade, leafy courtyard, light and airy interiors. Its gourmet restaurant is even more reason to stay here. A traditional looking timbered house with uber modern interiors. Excellent restaurant serves gourmet cuisine and has an extensive wine list. Huge rooms and suites with private balconies and jacuzzi bath tubs. 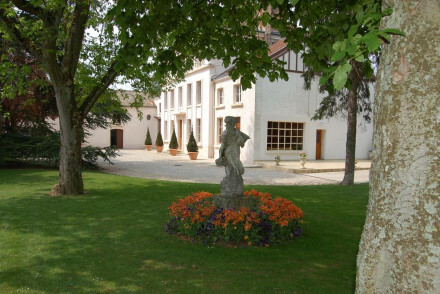 Recently renovated country house hotel on a vineyard just a stone's throw from Epernay. Luxurious rooms are indivdually designed with interesting fabrics and bold wallpapers. Sit out on the terrace and enjoy views over gardens, fountains and pool, or head in for fabulously pampering spa treatments. Located in Champagne, France's famous wine region, plus a famous restaurant headed by Michelin star awarded chef Rossillon, this property is a must for foodies. The chateau is 19th century with modern interiors. Rooms feature cow skin rugs, retro furnishings, original art and expansive bathrooms. Wine tasting - There is no better place to sample the golden, bubbly delights of the Champagne region! Sailing - Sailing on the Lac de Villegusien is a wonderful way to spend an afternoon. Sights nearby - Reims Catherdral and the Abbey of Saint Remi not to be missed. Great walks - Through the Montagne De Reims Regional Nature Park. An exceptional Five Star chateau with a Michelin star chef and beautiful rooms. Luxury, romance, and the finest attention to detail throughout. Classical furniture and sumptuous fabrics. With 400 Champagne labels it's a very sophisticated hotel. Good wine list - There are over 600 champagne labels to choose from!